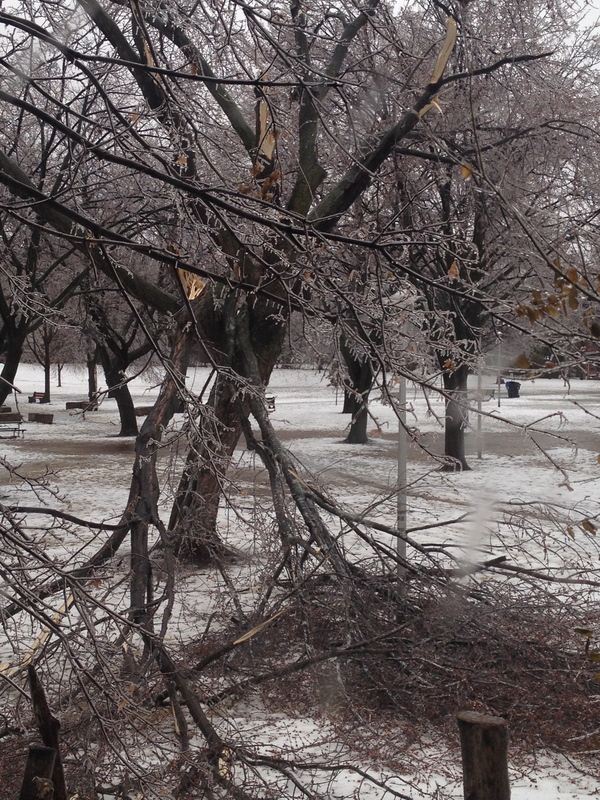 Only one tree sustained significant damage during the recent ice storm, thanks primarily to the great job done by the City this past summer pruning the trees in our parks. This meeting will be held at the Trinity Bellwoods Recreation Centre, Activity Room, from 6:30 to 8:30 pm. I hope to see you there! A reminder that we meet the 3rd Wednesday of every other month, so our Friends meetings for 2014 will be held on: Jan 15; March 19; May 21; July 16; Sept 17, and Nov 19. Everyone interested in our parks is welcome to attend! Again and again, do keep up the great work! Hi Jill and or Christine! Would you kindly hold off on announcing the date on the website for the pancake breakfast? For a number of reasons, Events hasn’t been able to have our planning meeting yet (we meet on Monday January 13) about the breakfast. January 26 has been the proposed date since last year, but at this point, it may not give us enough time to plan for that date. I’ve asked Bob to add to the agenda that Events vote on having it a little later this year. I would like to know if you or Christine would be available to be in contact with Bob to blog and send out this type of email the morning of the event by 9:00 am to confirm that the event is on or that it’s been postponed due to weather. I would like to bring this information to the Events meeting. At present the Pancake Breakfast is scheduled for Sunday January 26th. We will post more details about the event on this blog – and let people know if it is postponed.